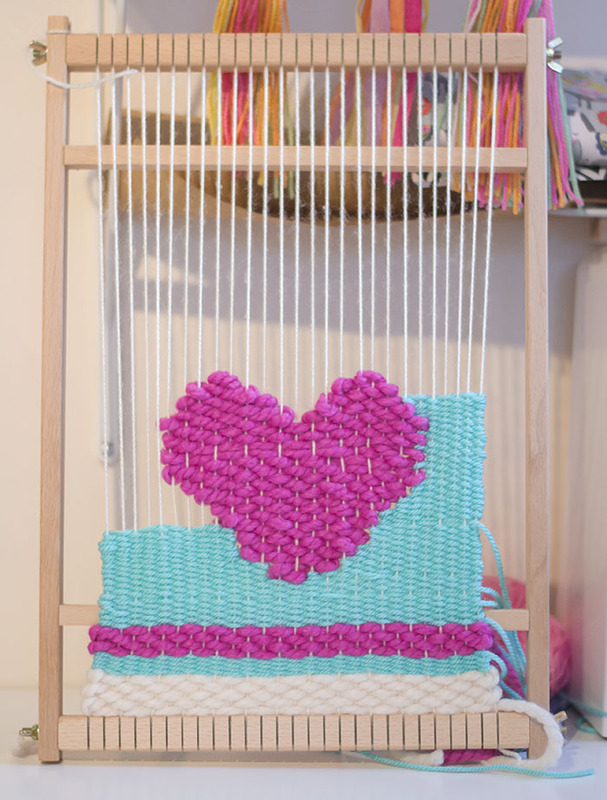 In my last post I wrote about how I attempted to weave using a cardboard loom for the first time. Now I’m back to share with you my first attempt at learning to weave using a wooden loom. It didn’t come with instructions and I couldn’t seem to find any online so I just made it up as I went along. 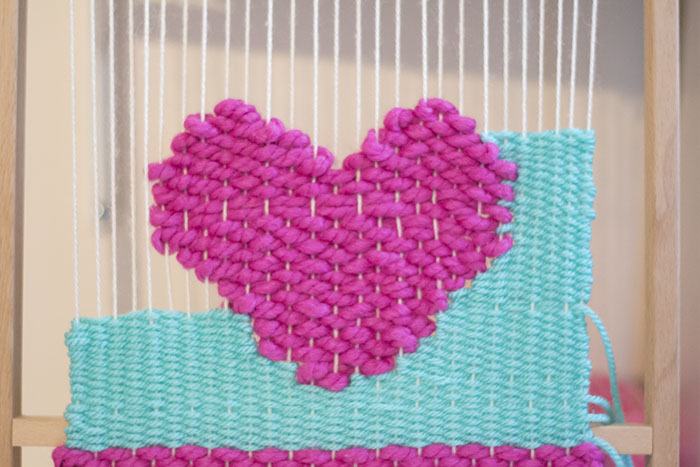 I wanted to put a heart shape in the middle of the weaving so I had to weave that bit first, as you can see I made a mistake at one point and ended up with two rows the same way next to each other. I fixed it afterwards by adding another piece of yarn in the middle. And here is the finished weave / weaving?! It’s definitely not perfect but it was my first attempt using the wooden loom so I learnt quite a lot. 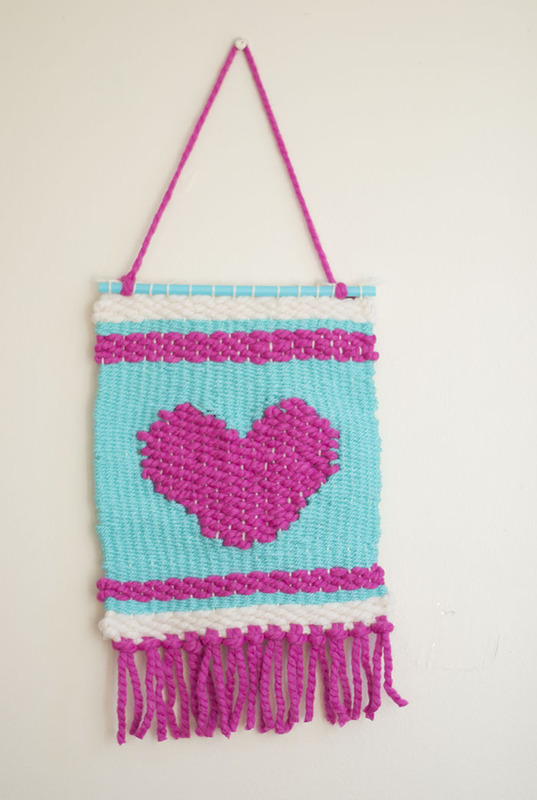 I love how you can make such a colourful wall hanging in an evening.